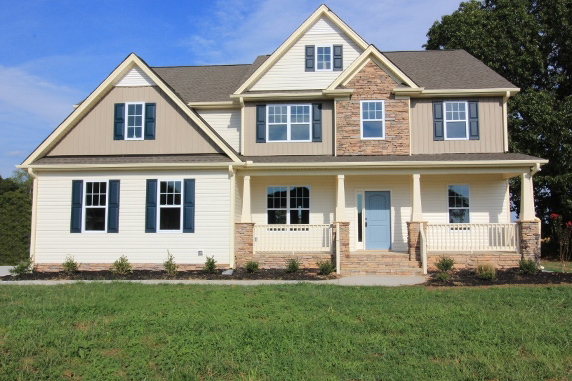 Rolling pastures, lush mature landscapes and impressive homes on 1 acre lots is what you will find when you visit the new home community of Chesleigh. This Wake Forest community boast impressive homes from the mid $200’s and feature top quality craftsmanship, impressive details such as crown molding, coffered ceilings, hard wood in main living areas, granite counter tops, custom kitchen cabinets, Oil Rub Bronze Hardware throughout, screen porches, stainless steel appliances, 2 car garages, and so much more! Custom Built by Wynn Homes is recognized as one of the top 200 home builders in the nation by Builder Magazine for the last four years. This family owned company currently builds in the surrounding Raleigh, Fayetteville and Jacksonville markets and specializes in move-up home construction and provides buyers with an impressive built home at an exceptional price – which equates to great value!